Every day, construction workers leave their homes to work in extremely dangerous conditions. Not only do they maneuver heavy building materials and work with power tools, but they also often do so on scaffolding and ladders high above the ground. According to the Occupational Safety and Health Administration, 21.1% of all worker deaths in 2016 were in construction. Falls were the most common cause of death, accounting for more than 38 percent of all fatal accidents in the industry. A construction site can be a breeding ground for on the job injuries. If you suffer an injury while working at a construction site in San Diego, contact The Law Offices of Gerald Brody and Associates. At the Law Office of Gerald Brody & Associates, our construction accident attorneys work with injured construction workers to help them get the compensation they deserve. If a worker dies on the job, we can also assist their dependents in getting the benefits they need to maintain financial stability. 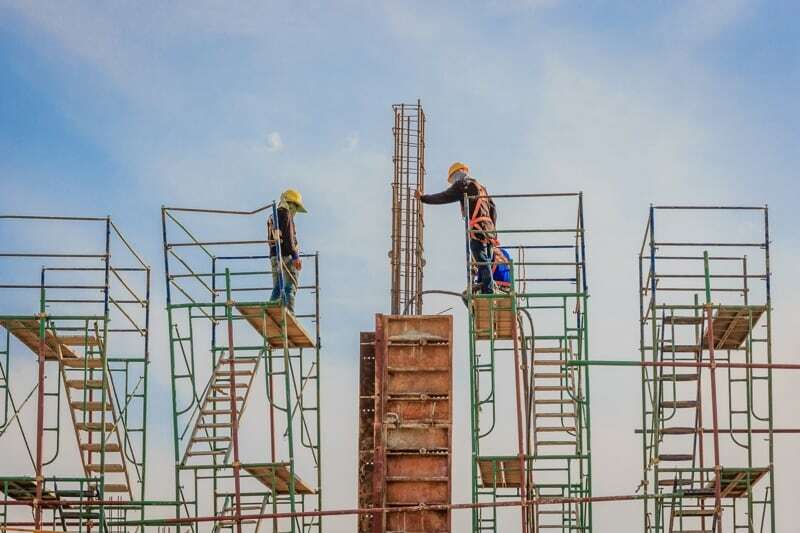 After decades of representing construction workers and their loved ones, our attorneys are well versed in the dangers of working on scaffolding, the falls from height injuries that can occur, and the benefits available through workers’ compensation. By definition, scaffolding is a temporary work structure elevated above the ground. There are two types of basic scaffolding: supported scaffolding and suspended scaffolding. Employers must provide construction workers with fall protection on a scaffolding more than 10 feet above a lower level. Fall protection includes guardrail systems and personal fall-arrest systems that include harnesses and associated components like D-rings, snap hooks, lifelines, and anchorage points. OSHA has requirements for what fall protection employers are required to provide depending on the type of scaffolding used. When an employer fails to provide the proper fall protection, construction workers are at great risk for injury. Falls from height are the most common construction injury and accounted for hundreds of worker deaths in 2016. It’s no wonder, then, that a lack of fall protection is the most commonly violated OSHA standard. While unfortunate, falls from height injuries are covered by workers’ compensation. If you suffer one of the injuries above, you may be entitled to payment for lost income, medical expenses, and job retraining if you’re unable to return to work in your current role. An experienced construction accident attorney can help. As a construction worker, you have a right to work in a safe environment. If you have suffered an injury on the job, it’s important to file a workers’ compensation claim as soon as possible following your accident. You have 30 days from the date of your injury to file a claim, but the sooner you can report your injury, the better your chances of recovering the full benefits you deserve. At the Law Office of Gerald Brody & Associates, our construction accident attorneys have decades of experience helping injured workers just like you. To see how we can help you financially recover from your accident, call us at (619) 528-9800.